Reliance Precision is pleased to announce that a member of its Design Engineering Team, Chris Hew, has been shortlisted in the ‘Design Engineer of the Year’ category at the British Engineering Excellence Awards (BEEA). 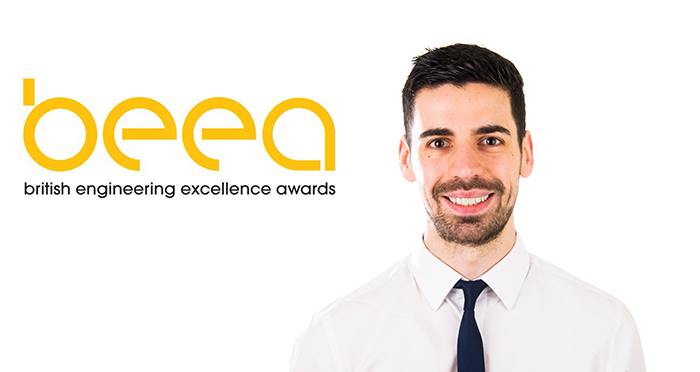 Chris Hew, a Mechanical Design Engineer at Reliance was shortlisted for ‘Design Engineer of the Year’ for his design contribution to a new prosthetic developed by the Steeper Group, a world-leader in prosthetics technology. Chris was invited to the awards ceremony at The Honourable Artillery Company in London on October 6th at a lunch hosted by Johnny Ball, TV and radio presenter and British engineering ambassador. Chris was nominated for the award by Martin Wallace, a Product Development Manager at Steeper who has worked with Chris for three years on the prototype development of their latest prosthetic. During that time, Chris has helped design and mathematically model precision gears, which Reliance has manufactured for drivers in the new prosthetic, helping to enable the commercial product launch. Chris Hew, who recently achieved Chartered Engineer status and membership to the Institution of Mechanical Engineers, commented on his shortlisting for the award, saying: “I was surprised to be nominated as the ‘Design Engineer of the Year’ and particularly pleased to be put forward by one of our customers. It has been a very interesting project to be involved in and I have enjoyed working closely with Martin and the team at Steeper as well as developing my relationship with them. The project has brought new challenges to Reliance and encouraged us to investigate new ways of applying technology.